If you are a rower, it would be a good idea to do some erging during the summer rowing season. 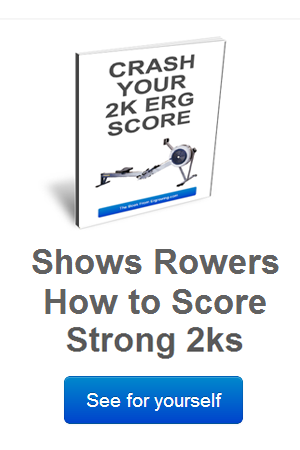 Even if it’s just 1 erg session per week it can really benefit and help your rowing. Row some fitness boosting workouts without having to rely on a crew. Extract a maximum rowing related workout from yourself – without worrying about rowing crew technique. All of the following workouts are designed to be short and hard. In summer the priority should be with your on – water rowing sessions. 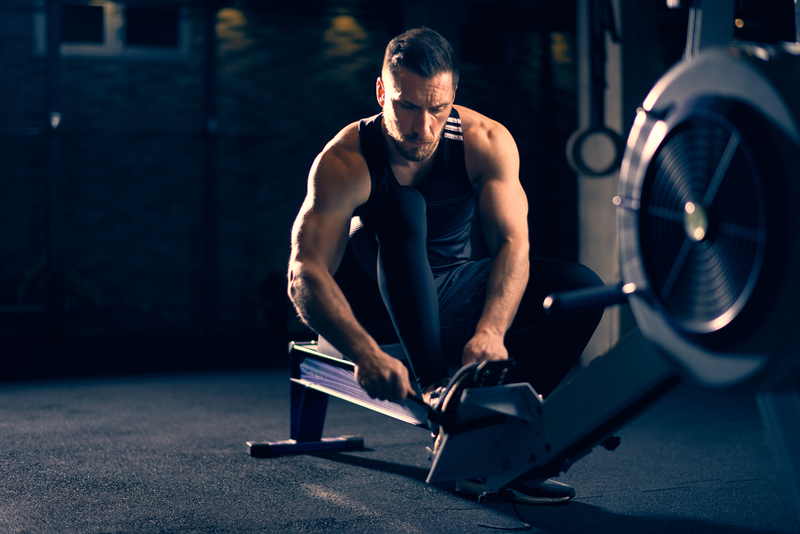 But if you feel you need to erg for any of the reasons above, it would be better if you could just get a quick, effective session in without adversely affecting your crew rowing. But the thing is – you need to be able to judge this for yourself. And it depends on lots of factors. Your rowing technique – some people believe that erg can affect your rowing boat technique in a negative way. This is an important consideration if you are a novice or are less experienced rower. Beginner rowers’ rowing technique can be more impressionable and open to influence. The last point is very important. Say you have spent the past 5 weeks learning how to load your legs in co-ordination with your back and arms. Then you get on the erg and hammer out 5 x 500 meters (causing you to pull and jerk your shoulders at the catch) – you could set yourself back a long way in terms of technical development. In summer, rowing coaches pay close attention to rowing technique. But it’s not really a big problem for more experienced rowers – they can usually hold their technique regardless. Do 8 times 500 meters with a 1 minute rest. 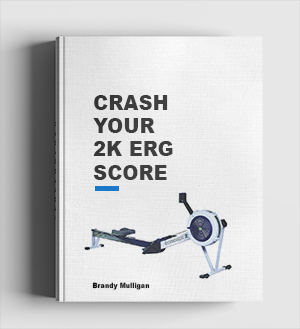 Aim for a consistent average erg score. You can vary the intensity using average power or rating. Or, if you are feeling really good, extend the session to 10 x 500 meters. Again you can vary the intensity using rate and power. A higher rate will obviously make the work phase shorter. If you are feeling Olympic, you could take a 5 minute rest after the 15 repetitions and repeat the whole set again. This session is great and one of the best (in my opinion) for summer rowing training. The session is based on the erg workouts that boost your Vo2 Max article and you should read it for more details. Important. For all the workouts, you should warm up well (as you would for any hard rowing workout). Also bear in mind the timing of the session. If you are using the erg to get ahead and do some extra sessions by yourself make sure you do them when they will least affect your actual crew rowing sessions. The best time to do them is when there is no rowing seat racing imminent. And you know you will have plenty of time to recover for the next important crew rowing session. I stress important here, because you need to decide which crew rowing sessions are important. Have you ever watched the Romanian Women’s 8 in full flight? Here they are in the 2008 Olympic Final. When they were at their best, watching them rowing was something to behold. It was truly unique – and deadly effective. Their results speak for themselves. But their rowing style and technique really defined them. Look at the overhead shot at 1:05 in the video. Watch out for the speed of the blades on the recovery of all 6 crews. Notice how quick the Romanian blades move off the finish and then slow dramatically in the slide forward. There is a notably big difference in comparison to the other crews’ bladework. See how they explode with an amazing leg drive off the catch and open up the body angle late in the drive phase? They did the same thing – whether they were at 36 strokes per minute in the middle 1000 meters of the Olympic Final, or out for an easy training session during a World Cup Regatta. Watching them train was great and was a real chance to see how they rowed their boat. The contrast between the hands & body speed and the slide speed during the recovery was almost unbelievable. Anyway – the point about the Romanian Women’s 8 is that they had a particular way of rowing their boat. And it wasn’t just confined to the 8. At the Sydney Olympics in 2000, the bow and stroke of the 8 teamed up to row the pair. Which they won gold to match their Gold in the 8. Rowing exactly the same style. See how they are much slower with the hands away? But see how fluid they are after that initial ‘set’ point. Look at how they just roll up into the front and into the water with the blades – in one fluid seamless movement. I’m sure you’ve heard before that the catch is the ‘last thing you do on the recovery phase’? (or something similar). This rowing is a perfect example of that movement. Hands: Really Fast away from the finish. Slide: First quarter on the recovery is quick. But then it slows dramatically. Catch: After the very slow slide the blade drops in quick and the change of direction with the slide (and the engagement of the legs is dramatic. Leg Drive: Go down hard and the body remains forward. The whole of the drive phase is very horizontal. See how low and level they move their bodies towards the bow? It looks like their whole style is based on not disturbing the boat run (in both the recovery AND the drive phase). Hands: Deliberate and controlled way from the finish. The guys sit very still at the finish with toes pointed, knees flat, core braced and the only things that move are the hands. See how they all meet at a point together? Body: Controlled – and a noticeably separate movement from the hands. Very different from the Romanians where the hands and body move almost together. Slide: Very fluid, direct and deliberate. Notice how well they match the slide speed with the speed of the boat. Catch: Part of the recovery. Back swing: Compared to the Romanians the back swing in the Australian Boat is much more ‘even’. Sure they open up hard together towards the finish, but they don’t over rely on the legs-back separation in the drive phase. But notice how dynamic the finish of the drive is: The back and arms move faster as the momentum, power and boat speed increase towards the finish. It shows excellent timing with the movement of the boat. It’s up to you. I been directly involved with crews rowing both styles at a serious level for a long time. We spent 2 whole seasons trying to row the Australian style and spend 5- 6 seasons rowing more like the Romanians (but not as extreme). The crews I was involved in went fast with either style – Top 7 in the world fast. Aim to purposively build the boat speed towards the finish. Release the blade and feel your boat run. Make sure you brace and sit still on the finish and don’t disturb your boat. Be very careful though. The oarsome foursome match the slide speed forward with a quick catch and connection. So for you to do it right, you need to match this. Rowing the Romanian Style is a little more challenging in my experience. It’s a bit like walking a tight rope. Once you are moving and are in the groove then you are ok, if you stop moving or break the rhythm they you could be in trouble. It also requires good control and flexibility – especially with your hips, hamstrings and lower leg joints and muscles. Creeping up the slide is the balancing on the tight rope part – but the dynamic drive and lightening quick hands – body – first quarter slide creates a nice rhythmic momentum that will carry you a long way up the slide towards the catch. It’s kind of like sting and float – with a high work to rest ratio. You can try either of theses techniques on the erg. Study both videos and decide which style you think will work best for you. ** Actually this is one of the best rowing drills you can do to get your boat going well. Whether you are in a crew of 8 or in a single scull or are on the erg – it truly is a worthwhile drill. P.S. Drew Ginn is the bow man in the Australian 4. He runs a great blog and site called rudderfish – which gives us all a really unique insight into the world of a multiple Olympic Rowing Champion.